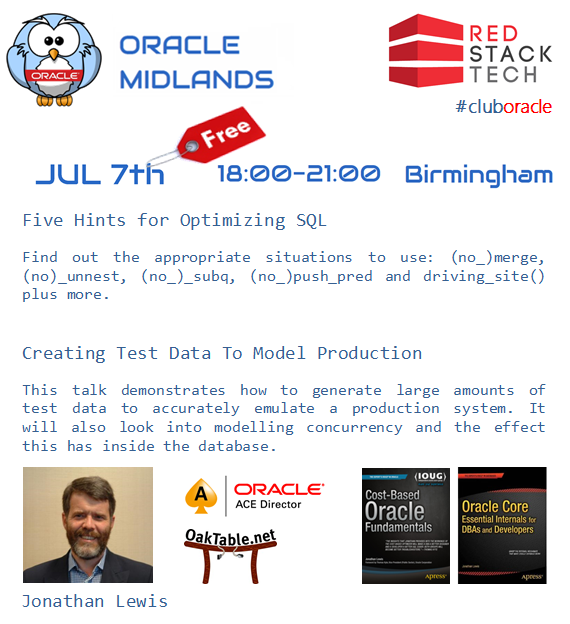 Just a quick heads-up about the next Oracle Midlands event. It’s good to encourage new speakers, so Mike is giving this new, unknown kid a shot at the limelight. I hope you will all come along to show your support. Previous Previous post: Why do people show Azure so much love?